"Wales have won the last two home Six Nations matches against Ireland and the hosts will believe they can complete the job after their remarkable 13-match winning run." This year's Six Nations has a fitting finale with Wales bidding to seal the title and the Grand Slam with victory over champions Ireland. It has been a record breaking run for Wales after 13 consecutive wins but it all comes down to this weekend. If Wales slip up in Cardiff, England will surely take advantage at home to Scotland and secure the title. Warren Gatland has the chance to end his Wales tenure with a third Grand Slam triumph and he will be determined to finish on a high. During the competition, Gatland said his team have forgotten how to lose and there is an element of truth in that statement with Wales demonstrating an ability to win at all costs. The side have yet to put together a complete performance in this year's tournament but they have still found a way to grind out results. Fortunate in their opener against France, Wales were below par in beating Italy. 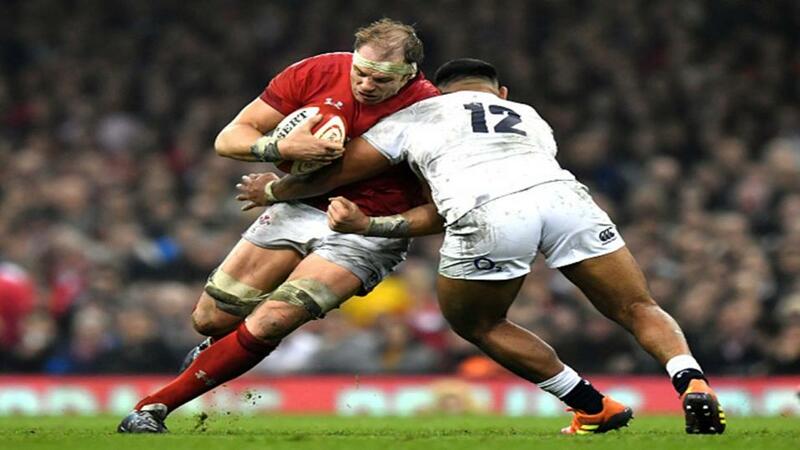 Their best display came in the 21-13 home victory over England although they still had to fight back in the second half to win at the Principality Stadium. Wales were under pressure against Scotland last weekend but their brilliant defence helped them prevail 18-11. It is no real surprise Gatland has opted to pick the same side which won in Scotland. Full-back Liam Williams has recovered from a shoulder injury to keep his place in the team. Wales have certainly not been the most entertaining side in the competition but Gatland will not care in the slightest if the home side can again scrap their way to victory. Ireland were touted as potential World Cup winners after their brilliant win over New Zealand in November but the side have misfired during their Six Nations title defence. Joe Schmidt's side were stunned in their opener after losing in Dublin to England. Unconvincing wins in Scotland and Italy followed before a more impressive display in their 26-14 home win over France last week. Tadhg Beirne will make his Six Nations debut as he partners James Ryan in the second row with Iain Henderson ruled out due to injury. Sean O'Brien is recalled to the team for the injured Josh van der Flier while Rob Kearney is fit to return at full-back in place of Jordan Larmour. It will be Schmidt's final Six Nations match as he prepares to leave after the World Cup. Wales have won the last two home Six Nations matches against Ireland and the hosts will believe they can complete the job after their remarkable 13-match winning run. Ireland are dangerous opponents but with momentum on their side, alongside the backing of the passionate home support, Wales are fancied to secure the win they crave. The betting underlines how evenly matched this clash looks and Wales will probably have to win it the hard way. All four of their victories in the competition have come by no more than 11 points and it seems highly unlikely Wales will win by a bigger margin against Ireland. The hosts' exceptional defence holds the key and Wales are backed to edge past Ireland and clinch the Grand Slam.